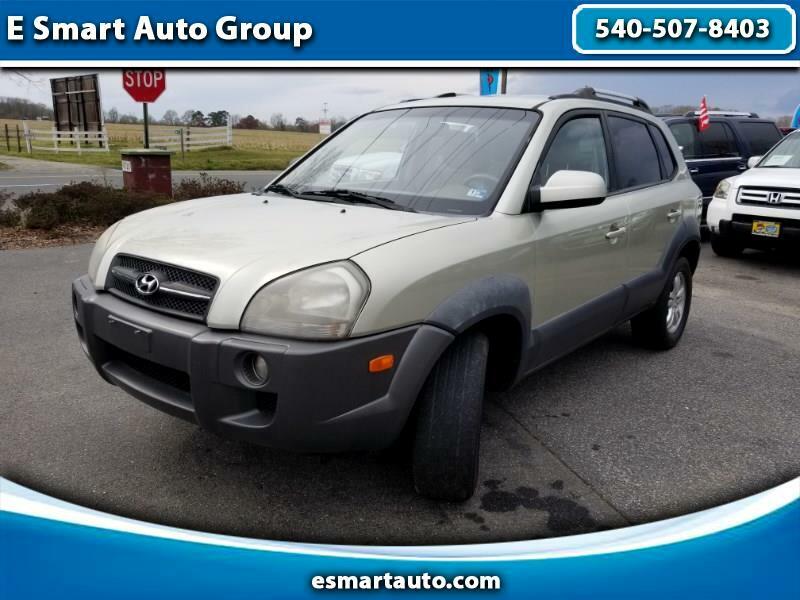 2008 Hyundai Tuscon 2.7Liter engine V6 4WD. Low miles, Old inventory clearance "MUST GO" sale!! Everything works! No mechanical issues, it has stain on the seats (see photos) otherwise clean vehicle from the inside and out! Performs and handles very well. Drives and shifts smooth. WE ONLY SELECT BEST CONDITIONED CARS. We will sell only the reliable and dependable car. Low mark up the high volume! Make your first stop your last at E SMART AUTO! This vehicle comes with 90 days 4500 miles powertrain warranty service contract. CARFAX is the #1 trusted provider of vehicle history information in North America, and we are proud to be a CARFAX CERTIFIED dealer. Each vehicle that we sell comes with not only our assurance of satisfaction but is also guaranteed to have a clean title history by CARFAX.